Monday 24th January 2019 – A visit to John Masefield High School. 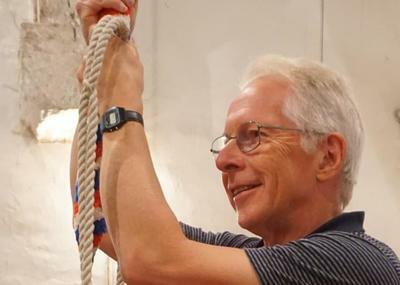 A team of six ringers taught 150 pupils in Years 7 and 8 about the history, theory and practice of ringing through a series of interactive sessions and including the use of our portable training bell (as seen in the photograph). 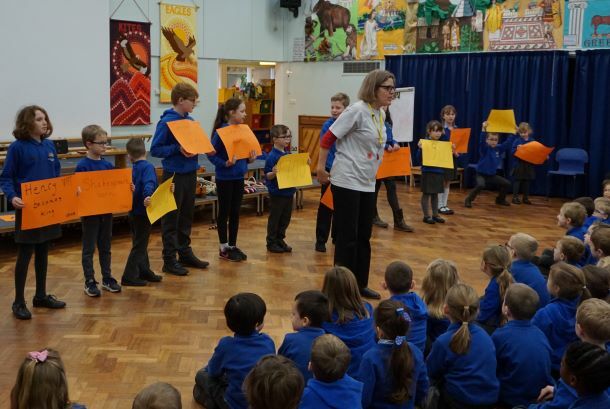 Tuesday 12th February – A visit to Ledbury Primary School. 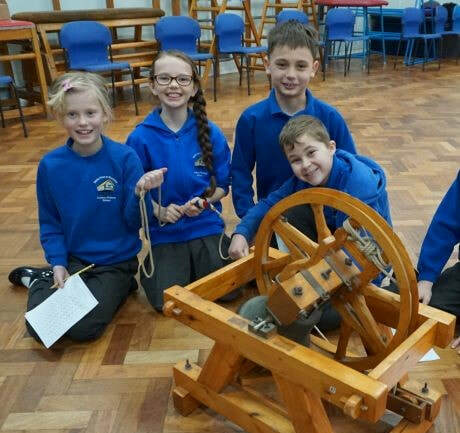 A team of six ringers led an assembly for the whole school about the place of bellringing in our country’s history, and then worked with groups of Year 5 pupils in a series of interactive sessions. Friday 18th January – Tim and Mary Anne Keyes gave a talk as part of the Evesham Festival of Words about the bellringing in our history and literature. 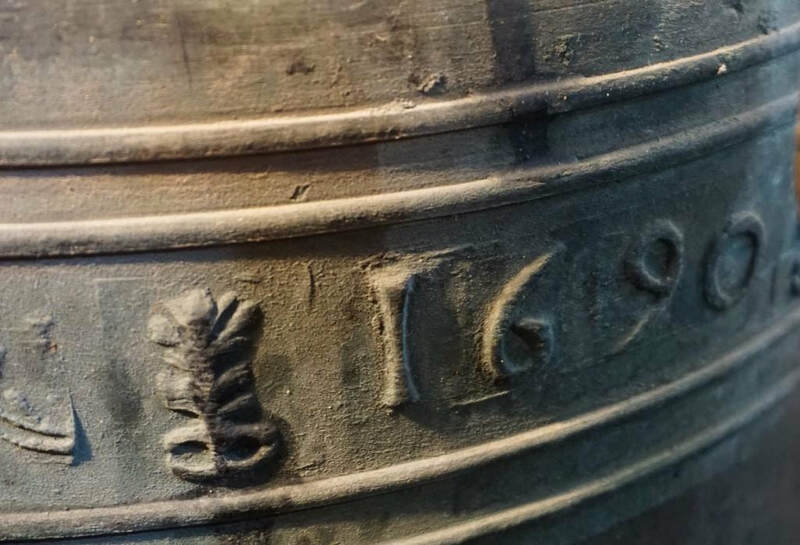 Friday 15th February – Tim and Mary Anne gave a talk on bells in our history and culture to the U3A History Group at the Baptist Church in Ledbury. ​Tuesday 19th February – Through contact with the local Joined Up Heritage project, we invited a group of teenagers from the Youth Drop-In Centre (which meets twice each week in the Barrett Browning Building) to come and learn about bellringing and record our evening together as part of a film project that they are working on. 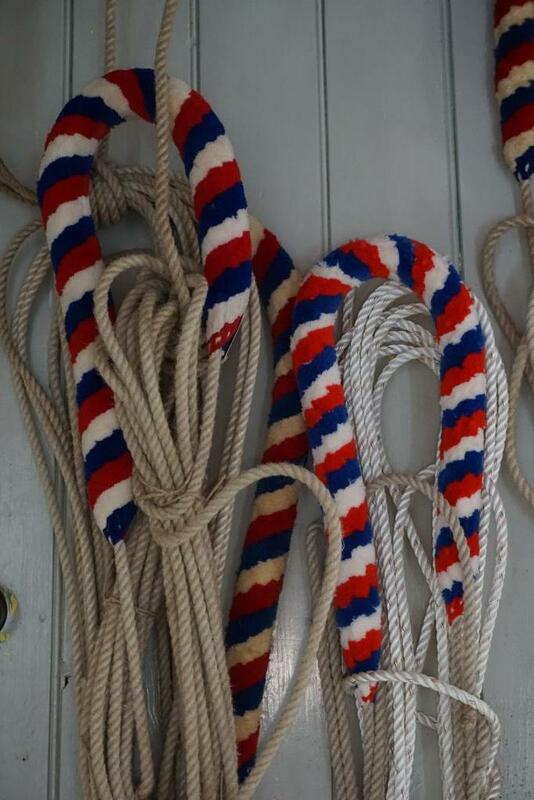 Tuesday 9th March – In advance of ringing for the special St George's Day parade service this year we invited members of the local Scouts and their leaders to join us to see the bells and learn a about what we do in the tower. 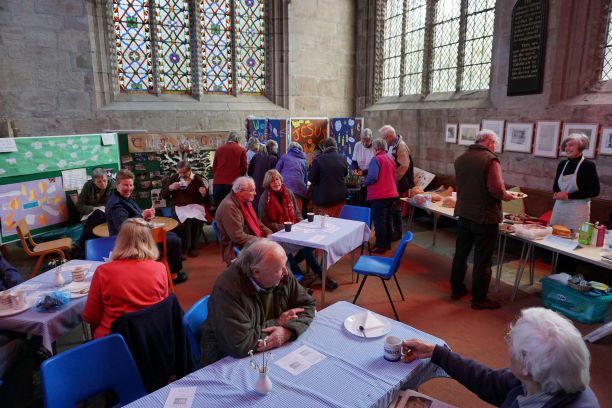 We were delighted to welcome gardeners and other supporters of the Bell to Remember project to a 'Seed Swap' Soup lunch in St Michael and All Angels on Saturday 16th February. Thanks to all who contributed, especially to Jane Mason for her generous donation of rare Galanthus (Snow Drop) varieties. 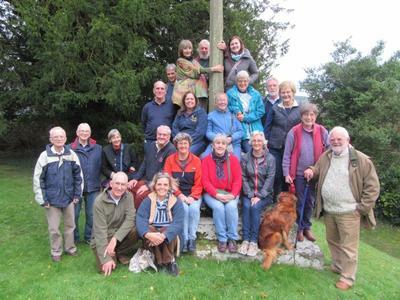 A total of £250 was raised. 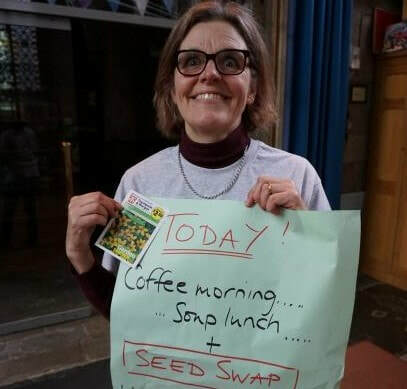 We hope to repeat this idea with another seed swap in the Autumn. Watch out for details! ​A very interesting and entertaining evening of music, prose and poetry interspersed with drama was enjoyed by over 250 people on 8th March 2019. Very generous donations amounted to over £2,500 and many learned a great deal about the history of bellringing and the bells of Ledbury in particular. 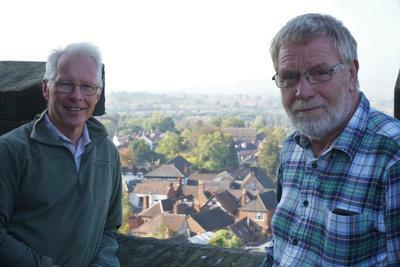 It is hoped that a revised version of this event can be presented on a future occasion. 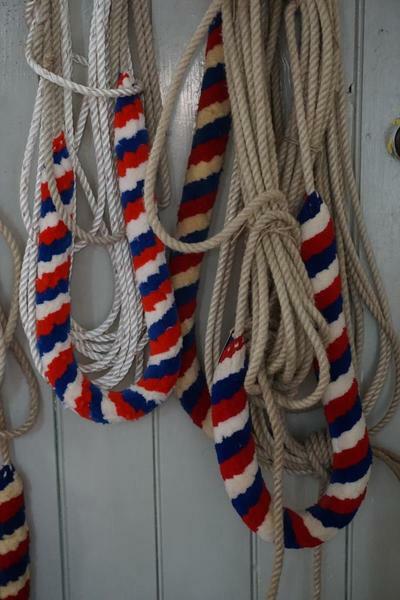 ​Please contact Tim Keyes (Tower Captain) if you would like more information about the project.